I would only add that the patriarch of the clan in many cases controlled an extended group of relatives, oversaw important decisions (e.g. arranged marriages), and was the face of the group in public with the hope to bring honor to/via ancestral connections and project well-being forward for future generations (various eschatological frameworks incorporated). In short, this "alpha male" was measured by his ability to control and care for the clan. Of course this ideal was manifested in various ways and in varying degrees. Marriage in Jesus' world fit within this matrix and eroticism ("romance" wasn't invented yet) was rarely an important factor. My conclusion is that modern projections of romantic relationships onto common folk in pre-medieval, agrarian societies are anachronistic. To speak of marriage in Jesus context--including "biblical ideals" of marriage--requires us to acknowledge that our ideals, institutions, and practices are almost entirely dissimilar to those in Jesus' world. Last week, I wrote a short blog post inspired by this fine article by Brent Landau. I took issue with a minor detail concerning "eyewitnesses." I felt that this detail - while minor - betrayed a larger problem within historical Jesus research. Focused and emboldened by this most serious matter, I wielded all of my best Michael W. Smith and whoopee cushion anecdotes to provide an example of what Landau called "quite minor events" decades removed from eyewitness experience. As is often the case when you write about pseudo-flatulence, a senior scholar whom you've admired for years emerges to defend his work. Below I've copied and pasted the portions of the comments thread wherein Bauckham responds. There were many other interesting comments on this thread. Here I only reproduce those that find Bauckham in direct conversation. I've also tinkered with the chronology a bit to clarify who is responding to whom. What is routinely ignored in discussion of my Eyewitnesses book, is that in the chapter on the psychology of eyewitness memory I explained that eyewitness memory can be very unreliable, but for that reason I drew from a an extensive study of the psychological research literature conclusions about what sort of things are most likely to be remembered well and under what conditions eyewitness memory is likely to be reliable. Therefore my arguments are not refuted simply by general claims that eyewitness memory is often unreliable. It is one of many points at which my critics simply have not read my work adequately. Nor did I claim that direct eyewitness testimony is necessarily more reliable than eyewitness testimony at secondhand or thirdhand (which is what your examples amount to). My claim is that the way the eyewitnesses told the stories lies not far behind the text of the Gospels as we have them. With the exception of parts (not all) of John's Gospel (in my view), we have in the Gospels eyewitness testimony at second or thirdhand. My general argument was directed to showing that access to eyewitness testimony mattered in the early church and that, in a variety of ways, the Gospels do claim such access. This is quite contrary to the form critical view. People say, But that doesn't get us very far because the eyewitness testimony need not be reliable, are failing to recognise that it gets us a lot further than the form critical paradigm allows. It makes it worthwhile taking the Gospels to be potentially good historical sources and to start assessing that by appropriate means - means different from the failed criteria of authenticity that were the best that could be done if the form critical paradigm of the transmission of Gospel traditions were right. Historical method is generally about evaluating sources as generally reliable and then trusting them - or not. Even the most reliable sources will be unreliable in parts but (unless we have really ample multiple sources) we often just have to take that risk. It's what history is always like - more or less probable, never 100% certain. And that's all without taking the subjectivity of eyewitness testimony in to account, as I do in the last chapter. It still remains the case that one condition for the reliability of a source is usually that it had plausible access to eyewitness testimony. And what is the "philosophical assumption" you accuse me of making? I cannot claim to have read all your critics. Certainly you know them better than I do. I've only read a handful of essays that criticize you on this point. At least two I can think of take you to task for building your case atop a superficial survey of psychological studies. I simply do not know the field of psychology well enough to know if this is the case. From my limited view, I would not point to this as a weakness in your work. One person’s “superficial” is another person’s “judiciously selective.” I would point, furthermore, to the first three chapters of McIver's book on the Ebbinghausian forgetfulness curve to fortify your case. My own criticism would take a different tact. There are two matters, it seems, that are on the table here. (1) Did the Gospel writers think that they were conveying eyewitness testimony? And if so, did they think that this was important? (2) Should we place a higher value on source material that seems to have derived from what "Mark" et al. considered eyewitness testimony? I suspect that we will agree on the first and disagree on the second. One point that I've tried to make in various publications is that earlier tradition is not necessarily better. In the same way that you say that history is never 100% certain (yes!) we can point to episode after episode in history wherein the first generation misunderstood the details and/or significance of their own events. Subsequent generations rewrite the narratives of their forebears because they benefit from a Wirkungsgeschichte that “eyewitnesses” can’t see. We are always revising our memories and histories. Sometimes we are able to improve our histories via revisionism. What interests me about appeals to eyewitnesses is not that they are “reliable” or generally trustworthy sources but in the way that the rhetoric promotes a perception of continuity with the past. I.e. Luke’s sources don’t need to be reliable; they only need to have distorted according to reliable patterns of memory distortion. Also I'm quite happy to call Luke a historian. As long as we agree that we often project anachronistic categories when we use this term. 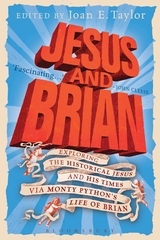 Along with Christopher Skinner, I recently received an early copy of Jesus and Brian: Exploring the Historical Jesus and His Times via Monty Python's Life of Brian (ed. Joan E. Taylor; Bloomsbury T&T Clark). I'm not sure when I've been as excited to read a book as I am to read this one, and I'm having trouble putting it off until I finish other things. This looks like the ultimate Jesus-nerd book. Unlike Skinner, I was at the conference last Summer in London and it was absolutely wonderful. 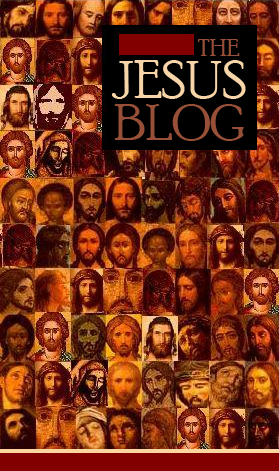 I blogged about it here on the Jesus Blog ("The Life of Brian, the Historical Jesus, and Michael Myers") and a St Mary's PhD student, Sarah Prime, published a review of the conference for the Marginalia Review of Books, "And now for something completely different: Brianology Comes of Age; or, What Have the Pythons Done for Us?" One of the defining characteristics of the conference was a combination of silliness (by far one of the best parts of the conference was hearing how each scholar managed to work his or her favorite quotation from Life of Brian into his or her academic paper, as well as all the cursing) and extremely insightful comments on the quest for the historical Jesus. I hope the book is able to capture this combination and will report back with a review in a month or so once I've had time to digest it all. I've been reading a bit in Minjung theology of late. I'm learning that a handful of South Korean theologians took on various forms of liberation theology in the 1970s. Often called the "father" of this movement was New Testament specialist Byung-Mu Ahn. Byung-Mu Ahn seems to place a great deal of weight on the concept of ὄχλος which is preferred in Mark over (and against?) λαός. Ochlos conveys a sense of a mixed group of outcasts as opposed to laos which connotes a group organized and unified as "God's people." There is no doubt that ochlos can be read in this way. Most dictionaries list this sense (or something like it) as the second or third definition. 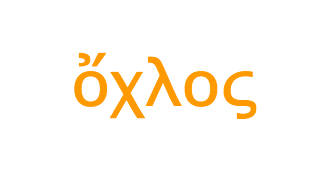 So to my question: what would be the best way to translate ochlos into English? Will Seminaries Become the Last Bastion for Religious Education? Today James Crossley alerted me to yet another historically robust religious studies department that is closing up shop. It seems that the University of Stirling has decided to scrap it's religion department. This follows a growing trend demonstrated by Newcastle University, the University of Sheffield, etc. I know of several departments in American universities that fear the same as departments are folded into classics, philosophy, and literature departments. The English-speaking world is also the Christianized world in enumerable ways. Whether or not we ought to use the term post-Christian can be debated. What is clear is that Christianity has played a major role in the shaping of these cultures for good and ill. Additionally it has never been more important to understand and respect our religious borders with the many and varied forms of Islam, Israel (both in concept and state), and a thousand permutations of North, East, South, and Southeast Asian religious expressions. Yet religious literacy is valued less and less by the Christianized West. I view this trend in higher education as a canary in a coal mine. If so, if university religious studies departments continue to close up shop, one wonders if seminaries and confessional institutions will become the last bastion for religious education in academe. What do the readers of this blog think? Do we have enough evidence to warrant using the word trend? If so, what are the implications of this trend? How must confessional institutions change to accommodate students who cannot find places in secular graduate program(me)s? 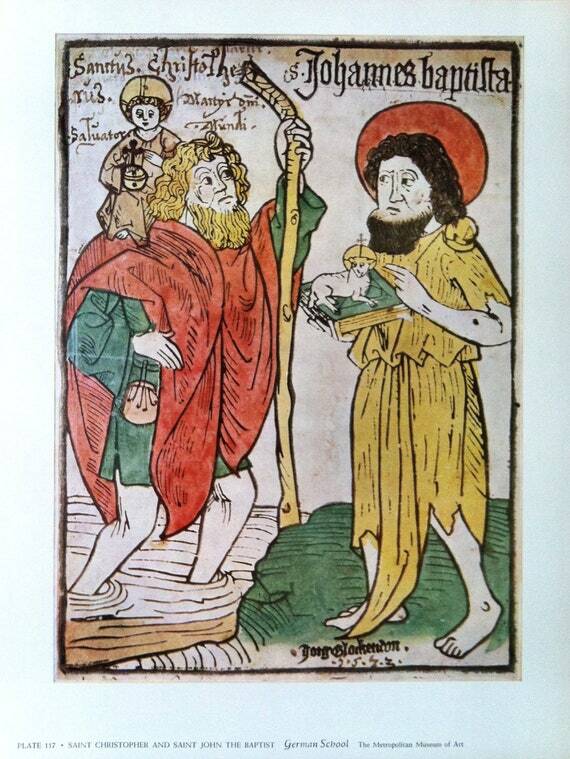 I've been benefiting from Brian LePort's recent posts on John the Baptist (one of my earliest interests in Jesus studies). Brian, who is writing his dissertation on a topic related to JB, points to an interesting quote from Ernest Renan. Another fascinating window into the assumptions of pre-WWII European scholarship. Are Firsthand Accounts More Reliable? In a previous career I worked with children and would attend youth-worker conferences to keep up with the Jones'. People who work with children (especially troubled children, as I did) are something less than a perfect lot. They tend to be devoted, but tired, rough-around-the-edges and—at times—uncouth people. If you ever have the good fortune to enjoy camaraderie among youth-workers you will learn to laugh to keep from crying. Sometimes you just laugh at life because all other occupations seem to be brimming with Scheiße. So believe me when I say that the sound of Scheiße is funny to most of us. FWIW, The Sound of Scheiße is my favorite Simon and Garfunkel B-side. One of the conferences I attended was put on by a Christian organization that assumed, I suppose, that many of us would enjoy a concert from Michael W. Smith. Someone else assumed, I suppose, that we would enjoy this concert all the more if we were equipped with a thousand whoopee cushions. We did. We cheered on that poor pseudo-musician as loud as we could with a cacophony of pseudo-flatulence. I think he played two songs. Then he just left the stage laughing. That is a true story. Or at least I think it is. I am summarizing an autobiographical experience that happened over twenty years ago. I really don’t remember much more about that experience. I don’t know who was sitting next to me or who went on before or after Mr. Smith. I’m not entirely sure whether there were a thousand whoopee cushions, two-thousand, or seven hundred. Maybe Mr. Smith played five songs and left angrily. I think I’ve got the details right. But why should I trust myself so much that I wouldn’t accept correction from someone else? Do you know what would help my sense of accuracy considerably? I would be helped a great deal if this story had made it into an article published in The Door. Or if Michael W. Smith had told this story to his wife and she wrote it down in a biographical account. Or if Mike Licona and Bart Ehrman debated about it on youtube. In short, all of these kinds of secondhand experiences would help my memory considerably. My firsthand experience suffers from vagueness, idiosyncratic perspective, and a sense of sadistic joy that shapes the way I tell the story. If I had more detailed accounts from different perspectives from secondhand parties I would be able to measure my imperfect narrative against other imperfect narratives. I would be especially lucky if some of the folks involved in these secondhand “memories” had contradictory accounts so to generate the sort of heat required to keep the conversation going. On the flip side, Luke reports some events that strain his credibility. . . . I include here the first line of the next paragraph to show that Landau is quite willing to call fiction fiction. He is not only interested in defending Luke’s status as “historian” and he knows very well the anachronism involved in projecting that category onto an ancient author. Like I said, I like this short Bible Odyssey article! That said, Landau continues the problematic assumption that “Luke must have had access to some very reliable sources—perhaps even eyewitnesses.” Luke, quite clearly, used sources. I have no problem here. I also won’t dispute the brutality of Pilate or that buildings fall down. True and true. Luke may even have a reliable source that has conveyed the specific events mentioned in Luke 13:1-5. But why *must* Luke have had access to some *very reliable* sources? I think that Landau climbs out too far on this limb. Finally, why should we imagine—as Landau seems to—that eyewitnesses provide very reliable source material? Again, my apologies to Dr. Landau; this is something of a pet peeve of mine. I do want to point out that I don’t think that I’m nit-picking. There is a philosophical assumption and methodological tendency here that requires more conversation. So to my challenge: firsthand testimony is not necessarily better and sometimes much worse than secondary or tertiary works of reflection. This is true of “quite minor events” and even more true of significant, life-changing events. In all seriousness, I am very thankful for those who have taken the time to read this book and write a bit about it. 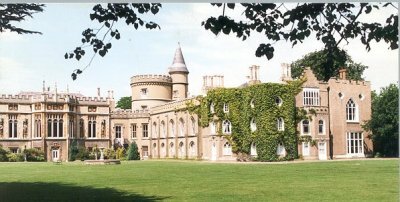 This post is for any potential PhD students who are interested in studying in the Centre for the Social-Scientific Study of the Bible at St Mary's University, Twickenham. Contrary to an earlier post where I mentioned that Prof Steve Walton was at his limit for students, he will now be able to take on one or two more students this upcoming year. So if you're interested in working with Prof Walton, Prof James Crossley, or me, I'd encourage you to get in touch with one of us. We have a limited number of open spots, but there are a few. 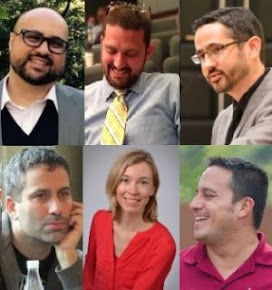 We support both full-time and part-time PhD students, as well as residential and non-residential students. There is, actually, a development at St Mary's with regard to non-residential students. For some students, it may be possible to do what we are calling the "St Mary's Model" for non-residential PhD students. Essentially, it would involve a combination of the student coming to London at least once per year, a supervisor coming to see the student in his or her town at least once per year, and meeting together at various conferences and through Skype, etc., at least once per month. It's a combination of you coming to St Mary's and St Mary's coming to you, all of which reflects the international nature of global higher ed. If you're interested in applying for this type of non-residential PhD program, get in touch with us also. Just to be clear, there are very few positions available for this type of arrangement so we will have to be selective. If you would have interest, however, we would love to hear from you! 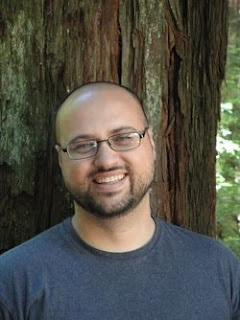 Representing Biblical Studies Online, I interview Chris Keith. 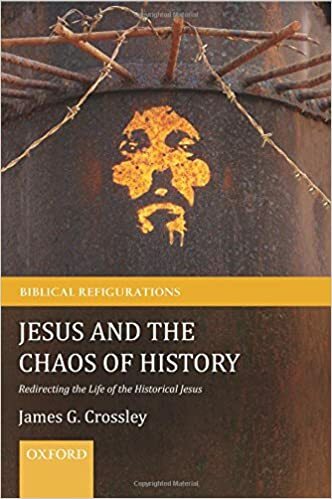 We/Chris discuss/es various issues relating to historical Jesus studies, including social memory, form criticism, and the criteria of authenticity. The interview can be downloaded from iTunes or streamed (or downloaded) from here. Chris should be known to readers of this blog. Sarah Prime, a NT PhD student in the Centre for the Social-Scientific Study of the Bible at St Mary's University, Twickenham, recently spent a month at Johannes Gutenberg Universität Mainz in an intensive Theological German Course. She's been willing to give a brief overview of how it went and to pass along the information for the course next year. For any PhD students or potential PhD students in NT, this sounds like a great possibility. 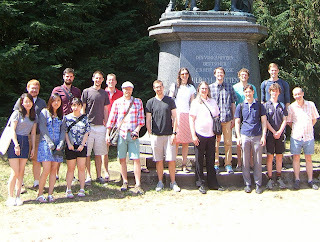 Last week I returned home from Johannes Gutenberg Universität Mainz, where I attended the first German (and) Theology International Summer School. The summer school ran from 6th-24th July, and was attended by 17 students (including 7 nationalities, and representing 10 universities). The course was organised by the Protestant Faculty of Theology at the University of Mainz, and included daily language classes based around German theological texts, plus three German theology modules also covering a number of further texts. The course is aimed at current or potential theology PhD students who are fluent in English but who need to be able to read texts in German for research purposes (it assumes some basic knowledge of German before arrival). Weekend excursions were also organised. The summer school was excellent and a very valuable experience. We could not have been given a warmer welcome by the Faculty members and language tutors, and a number of us attended additional lectures and classes in German during our stay. The participants were a great group to spend time and study with. We were all able to progress our language skills significantly during the course, and have come home feeling equipped to take forward our reading of German texts individually. Sincere thanks especially to Prof. Dr. Ulrich Volp and Frau Rachel Friedrich for organising the course so expertly, and to the many staff members who gave their time so generously to welcome us and to make the summer school such a success. The summer school will be run again next year, and is highly recommended. You can find the brochure for the 2016 summer school here. 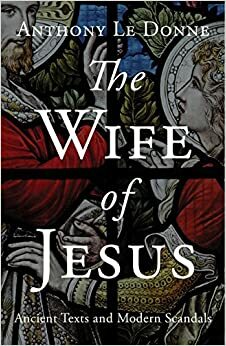 "Le Donne has written a work that should find an appreciative reading among those interested in understanding some of the scholarly issues surrounding the enticing question of a married Jesus. Relaxed, occasionally popular language and illustrations, and an effort to be clear yet succinct make the book inviting and accessible" (559-60). Congrats to Anthony on a great book, and Happy Birthday!